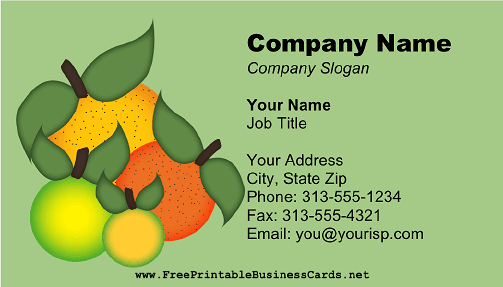 An array of citrus fruits adorn this business card, which would be ideal for everyone from a fruit grower or nursery to a maker of potpourri. All kinds of possibilities! Green background.